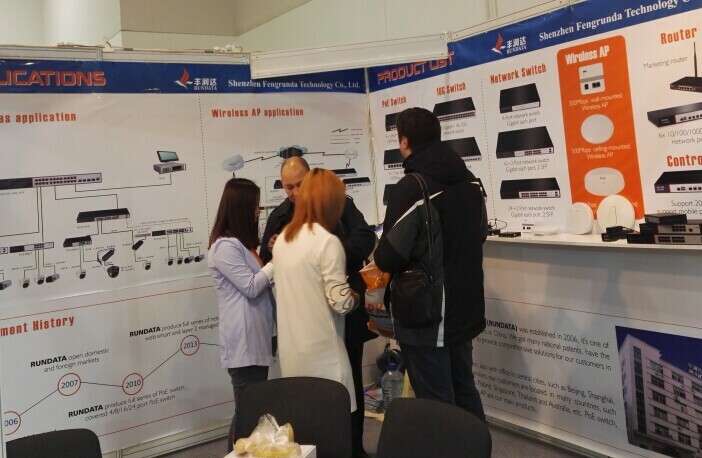 Recently, for a four-day 2016 Moscow International Public Security Products Exhibition (referred Mips exhibition Moscow) Moscow International Exhibition Center successfully closed. Plumper of the company carrying a full range of PoE Products, the latest wireless AP products and related solutions brilliant appearance, unique design appearance, high-performance products and professional and enthusiastic introduction so rich of concern in this exhibition. 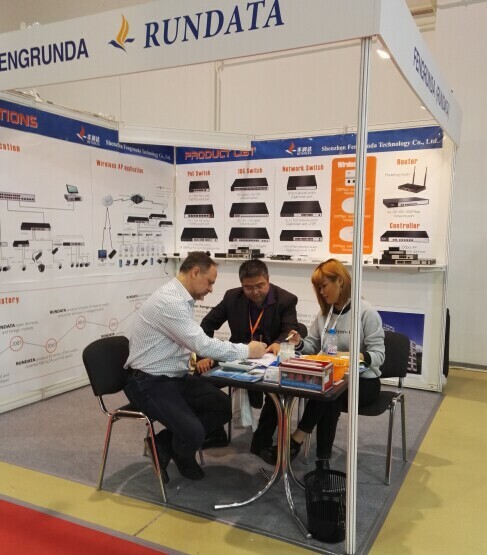 Fengrunda bring the latest technology and products share with the wolrd industry company, including private security PoE switch products, a new generation of business-specific wireless AP products, high-performance Ethernet switches, security monitoring PoE solutions. Among them, in particular, eight unmanaged PoE switches, 16 managed PoE switches,get the attention and recognition from the global security circles. At the exhibition,24 Gigabit Managed PoE Switch PS1024GS attracted many visitors to the eye, this product uses the industry's high-end chip solution, with powerful data processing capability, packet buffering 4.1Mbit, in line with a variety of standards and protocols , use, and flexible expansion, using store and forward switching mechanism, intelligent power, single-port power supply up to 30W, supports full-port full IEEE802.3af / at supply, power transmission distance up to 100 meters. Become the focus of audience. In addition, Fengrunda Launched a series of the equipment solution also popular, especially in security monitoring solutions are also under scrutiny. 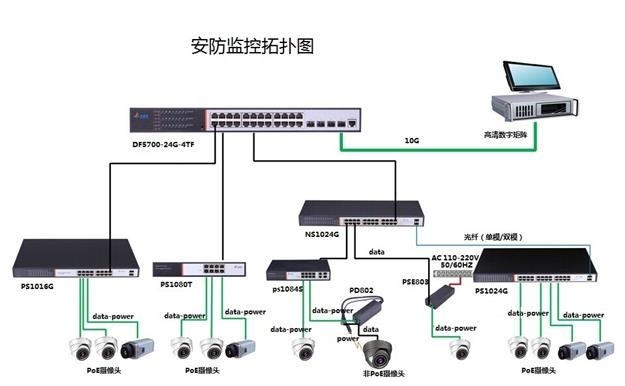 In this scenario, the use of PoE power supply, the use of 24 Gigabit Ethernet aggregation layer switches do the surveillance camera video data transmitted through the fiber to the data center core switch DF5700-24G-4TF, networking simple and flexible. 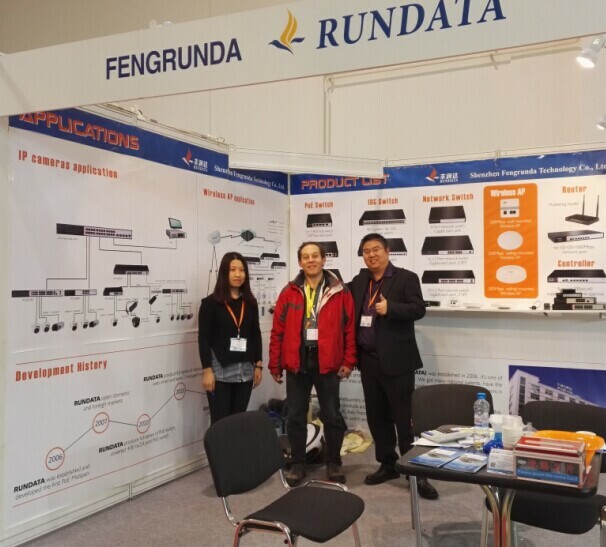 Fengrunda very value the development and application of PoE products, officially launched in the first half of this year, Dongfeng DF5700 series Gigabit switches and security monitoring solutions. 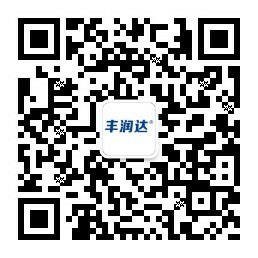 In the security field, the biggest advantage of PoE in its network of convenience and flexibility. Future PoE-powered products will be more breakthroughs in ultra-high definition and intelligent, the product competitive advantage will be further reflected. The Mips, Fengrunda show the China's outstanding security companies development, technical strength and strong brand strength to the world . Fengrunda since 2007 to get involved in the international market, continuously expand the field of promotion, the products have been used in more than 120 countries worldwide. The company specializes in products and concentrate on industry, with precise product positioning, perfect solutions, thoughtful technical services, has won widespread recognition of the market and customers.